The ancient ivories featured in our designs vary from 300 to over 15,000 years old, and come from both fossilized walrus and ancient mammoth tusk. We are passionately opposed to new ivory of any kind. 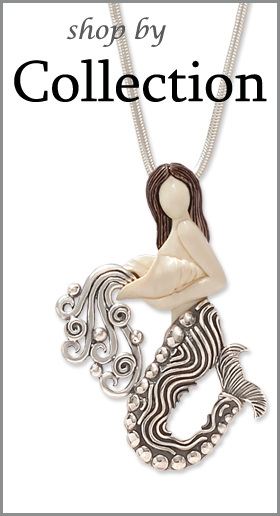 You will never find new ivory in Zealandia Designs jewelry. 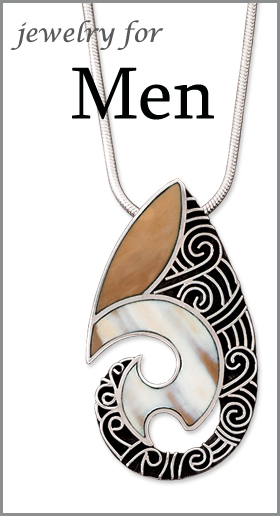 Zealandia’s unique fossilized ivory jewelry is recognized throughout the world for its creative use of ancient fossilized ivory, spiritual and mythological designs, and handcrafted artisan quality. Our fossilized ivory carvings showcase the beauty inherent in ancient ivory coupled with the timeless beauty of sterling silver. Whether working with mammoth ivory or ancient walrus ivory, our artisans carve each piece to bring out its unique character and exquisite beauty. These fossilized ivories are a rare and treasured focal point in our heirloom designs that feature a unique character, history, and beauty. 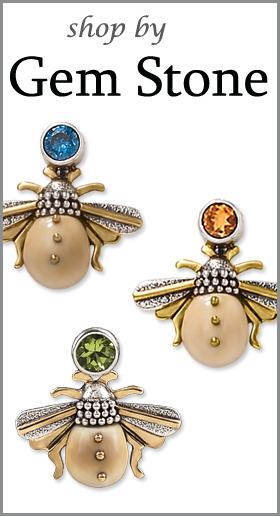 Natural variations in the earthy fossilized colors ensure that every piece of jewelry is a truly individual work of art. 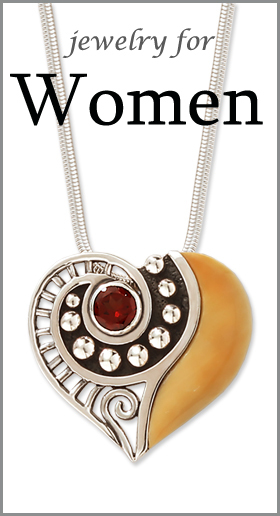 Whether you’re looking for the perfect fossilized ivory pendant, ivory necklace, ivory earrings, ivory lockets, ivory bracelets, ivory jewelry for men, or other fossilized ivory jewelry, Zealandia offers collectible designs inspired by nature, spirit, and mythology. Our exclusive mammoth and walrus ivory designs feature rich tones, intricate silver-smithing, and the highest quality craftsmanship in the industry.